Select Animate from the bottom bar. The first step will automatically be added to the timeline. When you have moved the player marker or object Globall Coach will show you the path the player marker or object will follow when played through. When the player marker is selected a blue highlight indicates selection. If you wish to change the position the player is moving to, drag the player marker. If you wish to change the angle of the movement, press the blue anchor point in the path line and move in the direction you desire. This allows the player’s path to represent a curved run or the ball to represent a swerved or curled pass or shot. The timeline indicates all movement of the animation. If nothing is selected it will show all frames and movement. If a player or object is selected, and that player or object has movement in the animation, the movement of the player or object will be shown in yellow on the timeline. To do this select the player or object you wish to change the speed of. Grab the blue timeline slider and move until the animation is at the point where you wish to change the movement and a yellow frame is displayed . pull the yellow frame to the right to make it slower, or to the left to speed it up. After you have made your first movement and you would like to make your second set of moments click the timeline at the appropriate point and you can add steps. Repeat for each step. To review your animation you can manually move the blue slider, or you can use the Review buttons to move to the start or end, rewind step by step, or play. You can change the overall speed of your animation using the speedometer icon. Move up to increase speed and down to slow down. 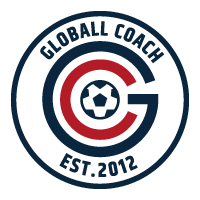 QUICK TIP: If you are creating a long animation or play and you would like to see all the movements on your Globall Coach timeline you can select how many frames you see. Click the timeline-size button at the bottom right and change the number to suit your needs. Windows - goes to Pictures folder. Mac - goes to Pictures folder. Allows you to see the animation full screen with toolbars removed. To escape preview press 'Done'. Press the Gear icon to add notes and information alongside your animation.